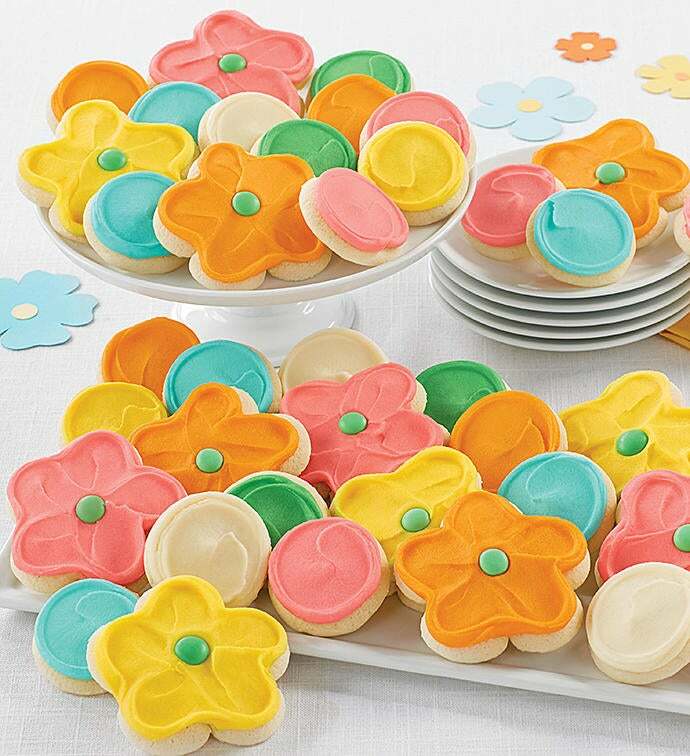 Brighten everyone’s day with a big box of our treats featuring flower cut-outs and a snack size assortment of cut-outs frosted with cheerful spring colors! Perfect for parties, a surprise for the office, or as a gift for your favorite college students. Our cookies freeze great - so keep a box on hand for quick desserts! OU D.